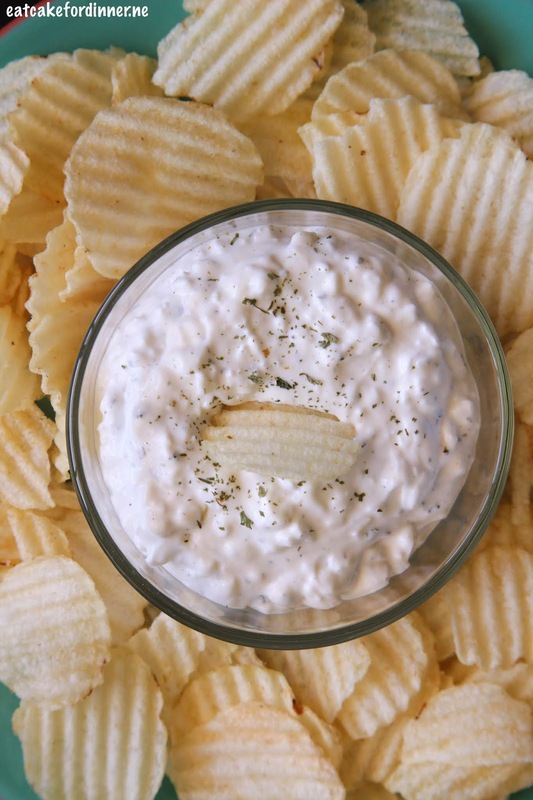 I'm sure you have all had the classic ranch dip with sour cream and ranch mix, but I bet you have never had this version of that dip. By adding cottage cheese, it takes it up to another level. Plus, you get all that added protein from the cottage cheese. This is my current favorite snack. I have already made it three times in the last month. 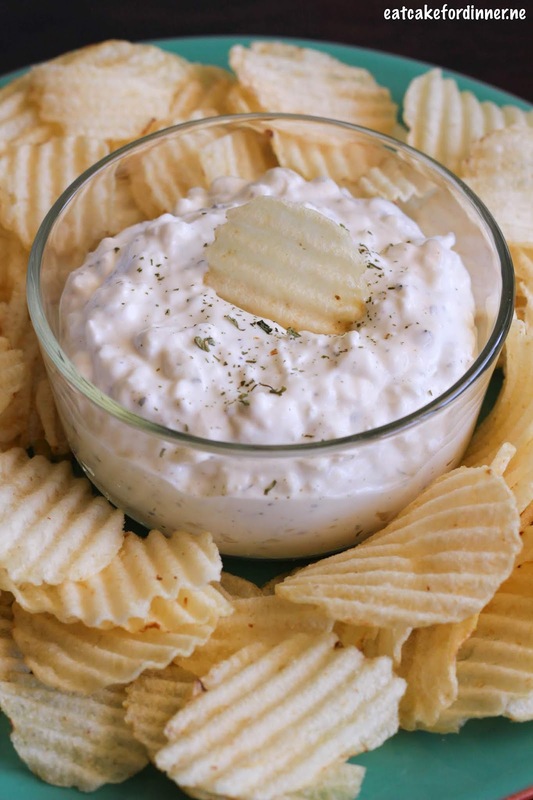 I started out eating this with potato chips, which is my favorite, but in an attempt to be a little more healthy now that it is Summer, I have been eating it with sliced cucumber and celery sticks. Both ways are really really good. I've also make it with both full-fat ingredients and low-fat ingredients and I love it both ways. Use whatever you prefer. 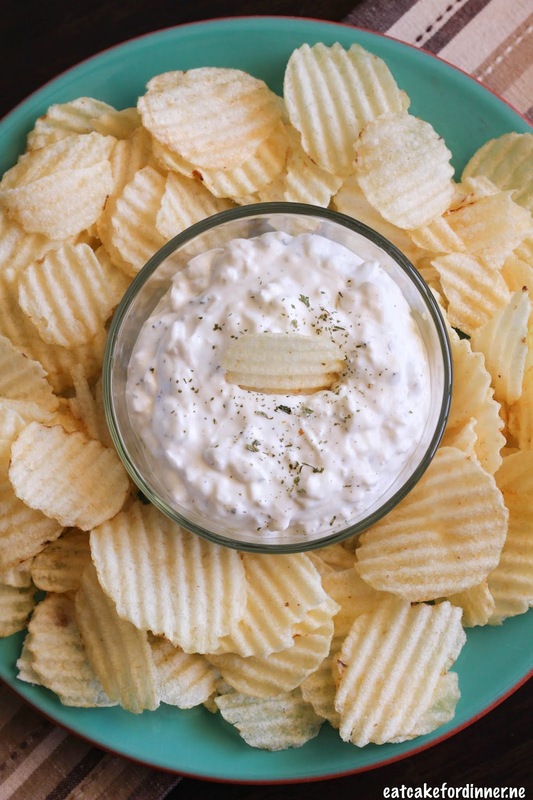 This makes a lot of dip, so it's great to take to a party or just keep it on hand to snack on during the Summer. It's nice and cool and totally satisfies. Stir together all ingredients until well combined. Refrigerate for at least one hour or more before serving. Serve with chips, vegetables or crackers.